For me, writing has become not just a vocation but a business. It’s challenged me to adopt many different hats over the years. Writing is not just about reading, writing, editing, submitting, then repeating same. As you probably know, it’s about marketing, promoting, and building a brand, which isn’t always (and shouldn’t be) done from the comfort of home. It’s about getting out there and selling and making future plans and recordkeeping, and updating my website. It’s about continuous research for stories and research for new selling and marketing opportunities. Editing short story to take to critique group. Jotting down notes for new stories. And this is the stuff I remember. On top of a part-time day job, housework, cooking, and errands, it’s a busy life. Not every week is as crazy or as productive, or as exhilarating or exhausting. Sometimes those hats I wear become skewed or even topple to the ground. But I pick them up and start again. I’m a writer. That’s what I do. And I wouldn’t have it any other way. 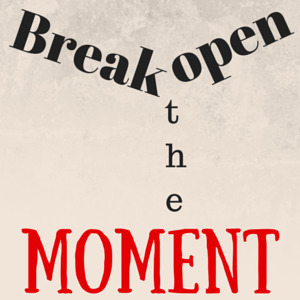 I first heard the phrase "breaking open the moment" at a Green River Writers' Retreat. --If you ever get a chance to go to one of their retreats or workshops, GO! You know how you're reading a book and something happens and then it's gone, and you think, "That felt a little thin. I wish they had done more with that scene." They needed to break open the moment. And you know how you're reading a book and you finish a scene, and you think, "Wow! I was so there! I feel like that actually happened to me!" They broke open the moment. Breaking open the moment means unpacking all the good stuff inside that moment for the reader. Yes, sometimes there's more power in implication, and sometimes there's more humor in indirection, but sometimes breaking open the moment is necessary. Breaking open the moment slows down the pace. It spreads the inside of what's happening all over the page and leaks off into the reader's mind and heart. Genarose sat in her chair and petted her cat, thrilled to be home after a month in hospital rehab. Her chair. Her very own chair. Not a bed cranked up at the head, not a wheelchair, but her chair. She had almost forgotten what it felt like, after a month in hospital rehab, but the chair hadn't forgotten; it embraced her. She settled into the contours she and the chair had made together over the years, so familiar, yet so strange after what seemed like years. Her daughter lifted Sweetie Pie into Genarose's lap, the huge cat overwhelming the thin legs. Hands shaking, Genarose stroked the calico fur, sleeker than the fur of any other cat, feeling the purr pulsing as she savored its burr. Sometimes she had wondered if she would ever know this privacy and comfort again. That's a wee bit of what breaking open the moment means. As someone who self-published her first mystery in 1995 and the second one in 2008, I’ve been watching the indie scene with interest for some time. You might wonder why haven’t I continued self-publishing. Well, I landed a contract with a small traditional publisher in 2010 and they released four titles in four years. It was challenging to come up with enough material to write a book a year, so I have mixed feelings when I say that the arrangement is coming to an end. 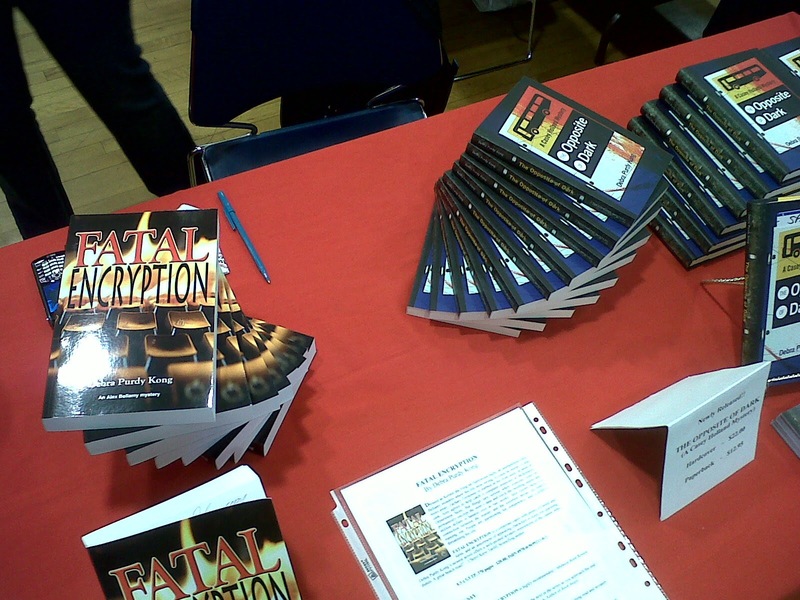 I’m looking forward to self-publishing again, but things sure have changed since 2008. Even though, the indie revolution had already begun back then, my focus was on print books. I met a number of enthusiastic, intelligent indie authors on Amazon forums who were committed to writing and selling their books, and who supported one another. At that time, most of those authors were also producing print versions. As you probably know, the revolution had grown in leaps and bounds by 2010. Amanda Hocking became a household name in the writing world. I think Hocking’s very public success story inspired a rash of hastily put together novels with poorly designed covers, poorly written blurbs, typos, and terrible formatting. Yet ebooks were still selling. Readers were buying their first Kindles and filling them with inexpensive books. By 2011, I noticed that fewer authors were bothering to release their titles in print. Plenty of ebooks were selling for $.99, until the backlash came. Lousy reviews of some ebooks appeared. Too many indie authors were spamming everywhere and wars of words sprang up. Blogs and articles appeared either supporting or trashing self-publishing. Over time, some readers wanted nothing to do with indie authors who relentlessly promoted everywhere. $.99 novels were now referred to as the $.99 ghetto, meaning if it was that cheap it had to be crap. Authors who didn’t care what anyone thought stuck to their guns. Those who didn’t want to be branded a ghetto author raised their prices. Those who were really serious about writing rewrote their books, or paid to have them professionally, or learned to write better books. And still the number of ebooks and new authors grew. So did the war of words, and emotion, and then something else happened. The percentage of ebooks being sold started to level off. Amazon introduced Kindle Unlimited (a subscription service for customers who want to borrow books) which began to hurt some authors sales. The big publishers slowly figured out that lowering their ebook prices would make them more competitive with the indie contingent, and inexpensive promotion opportunities started to become more expensive, ie. Bookbub. So, where’s the revolution at now? Well, it depends on who you ask as opinions vary. The indie world, while still new on many levels, is maturing, settling down, and adapting to customer demand for quality, inexpensive books. More indie authors are doing a better job with cover design, content, editing, and formatting. They’re learning that staying competitive doesn’t mean glutting the market with barely edited work. Effective marketing, promotion, and discoverability is still a challenge, but smart authors have learned that indie publishing is a long-term venture. Some of those who lack patience or a desire to improve their writing have moved onto other things. Based on the author forums I visit these days, others are thinking about it. The indie revolution is still underway, and for me it’s even more exciting. I look forward to jumping back in but not until I have enough quality work ready to share with the world. Last year, I wrote about the significant inequality between men and women writers at certain well established magazines and newspapers. For instance, VIDA discovered that there were far more men reviewing for those publications than women. They also found that far more books by male authors were being reviewed than by female authors. This speaks to an earlier blog I wrote where one survey found that men prefer reading male authors and women prefer the work of other women. Studies have shown that the ratio of men to women writers is about equal in literary fiction, so the question VIDA raised was why the imbalance and can it be fixed? First, though a quick explanation of VIDA. VIDA is a research-driven organization that monitors and exposes inequalities between contemporary male and female writers. They do an annual count every year (their methodology is explained on their website) to compare the genders of book reviewers at major publications, if one gender is reviewed significantly more than the other and so on. As mentioned, their 2013 count revealed major imbalances at publications such as The New Yorker, The Atlantic Monthly, and The New York Times Book Review. VIDA’S 2014 findings show an improvement in some areas, but ongoing imbalances in others. As you read the report, keep in mind that VIDA admit that numbers don’t tell the whole story, but they do raise questions that are similar to other organizations that have also been monitoring possible gender imbalance, or even bias. This year, VIDA took the count a step further by trying to establish the number of women of color on the literary scene. It was a challenge and obstacles had to be addressed, one of which is the sensitive issue of racism. What really struck me (although not as a complete surprise) is the pathetically small representation of women of color on the literary scene. VIDA says that their dataset is incomplete, but this too as improving, as participants become more open to revealing information in the hope of positive change. Let’s hope so. For many years I’ve attended workshops and have always found them helpful. But now, after more than thirty years of writing, editing, publishing, promoting, and selling books I find that I’ve become the person who is now giving the workshops. I haven’t done many presentations, maybe ten in all, but I’ve found that I really enjoy this part of my writing life. As it turns out, I have a lot to say because I’ve learned a few things. Still am, actually. The feedback and shared experiences I receive from attendees enriches my life. So, I’m very much looking forward to conducting the first of two workshops this spring. When is the truth too much? When is it not enough? What are the risks you run as an author? Learn to weigh the benefits against the drawbacks of incorporating well known settings, people, and events in your fiction. Discover how to successfully blend real-life places, characters, and incidents into compelling scenes for your novels and short stories. Finding the right publisher for your book involves much more than completing a beautifully written and carefully edited manuscript. Debra will discuss the importance of research, proper manuscript preparation, networking, and social media visibility to maximize your chance of success.